- "Magneticring" Live at the Solus Festival, Vancouver. Synthi 'A' and 'AKS' with a modified Cracklebox sending CV and Signal to the synthi's. Performed through 2xSVT 8x10 Bass Amps in Stereo. Recording is taken off a direct feed. @ Echo Curio Gallery Los Angeles. - "Magneticring" Live May 19th 2007 @ Blim. - "Magneticring" Live January 28th 2006 @ Access Gallery. EMS Synthi & Modified Cracklebox controlling CV into the Synthi. - "MAGNETICRING" Live Aug 8th 2006 in Victoria, BC, Canada at the Fifty Fifty Arts Collective. - "MAGNETICRING" Live Oct 12th 2006 in Portland, Oregon at DUNES. EMS Synthi'A', EMS Random Voltage Generator and a sampling pedal. 4-channel playback. A solo Khaen improvisation was recorded then played back through 4 speakers with each channel being offset from the last by 5 seconds. The Khaen is a free reed instrument from Southeast Asia. 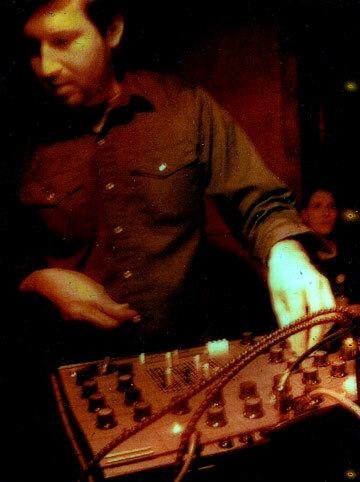 - "-Outhern Acific+" Live June 24th 2002 from a show at the Sugar Refinery Vancouver Opening for Six Organs of Admittance using a Arp Axxe Synth, Acoustic Guitar and loop cassette in a ghetto blaster doing live recording and loop playback.